I have a wonderful April 1901 copy of Woman's Home Companion magazine. It's chock full of treasures, but as always it's the ads that are the best. 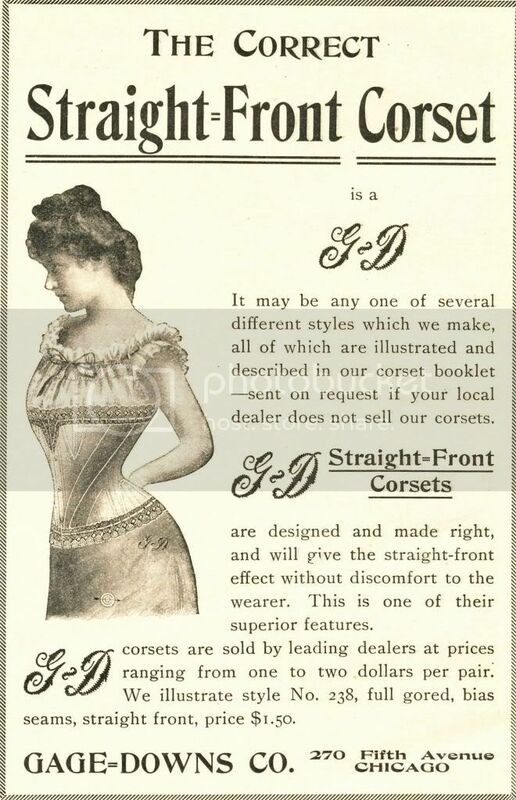 One thing you always find is ads for corsets. Look at this batch and consider how you'd be able to fit in one of these. Kinda scary thought! "It is hygienic and beautiful." 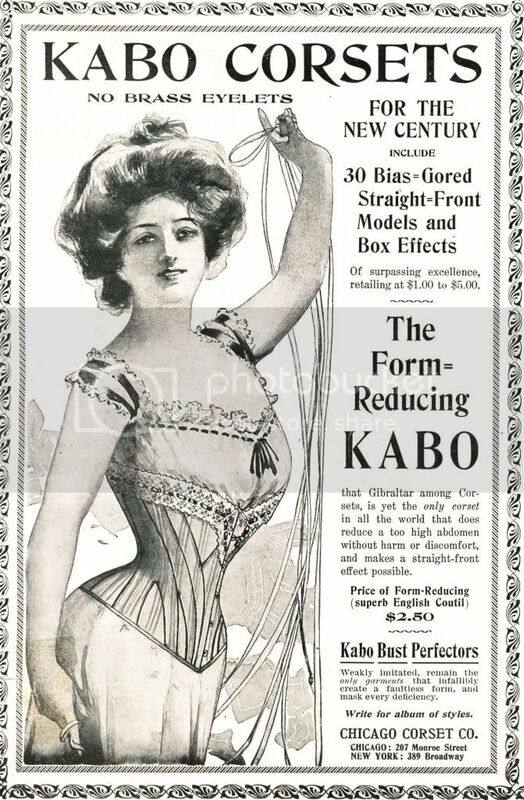 "the only corset in all the world that does reduce a too high abdomen...". "Cannot break at the waistline." 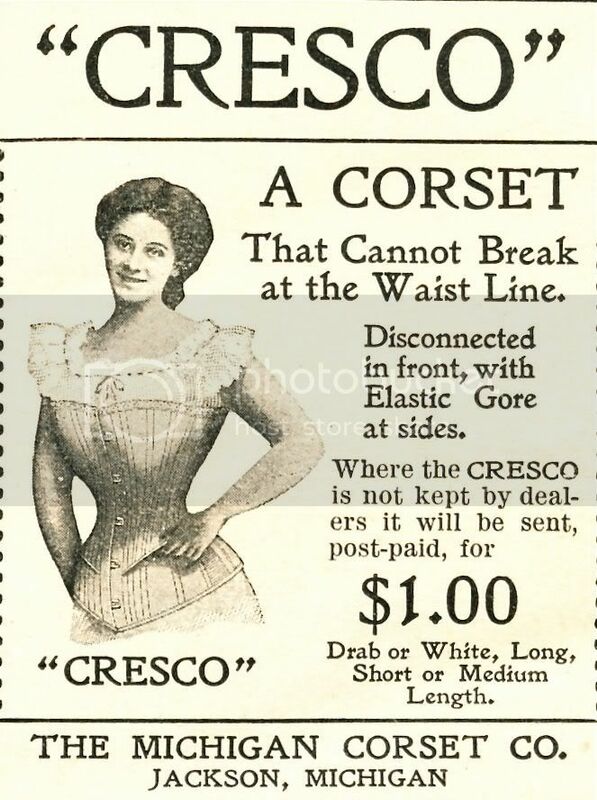 "The only stylish corset worn." "...will give the straight-front effect without discomfort to the wearer." 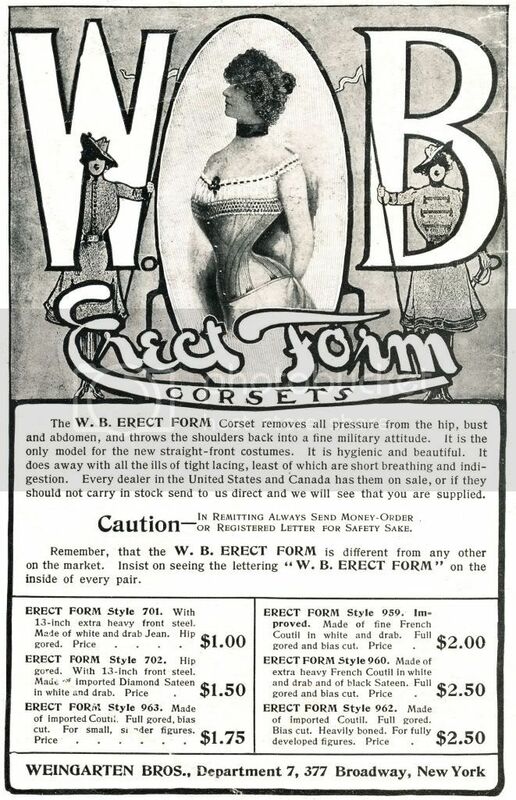 And if you are having trouble fitting into your corset try these. 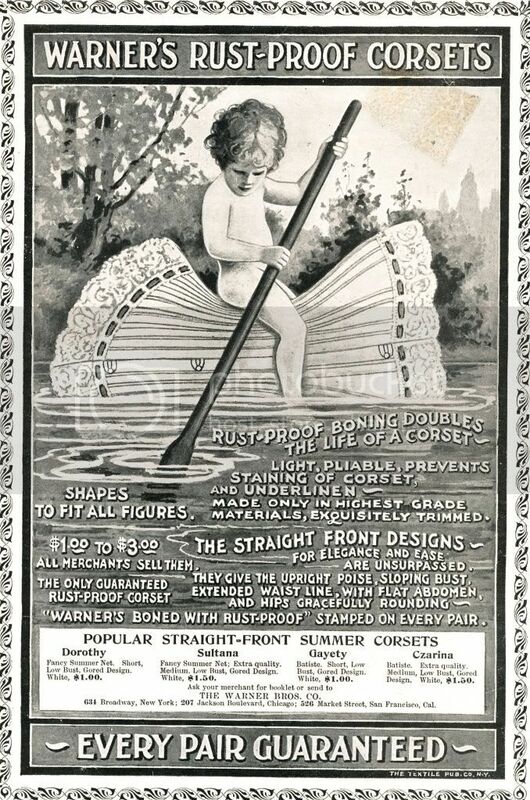 "For bathing at the lakes or seashore their buoyancy will keep your head above deep water." 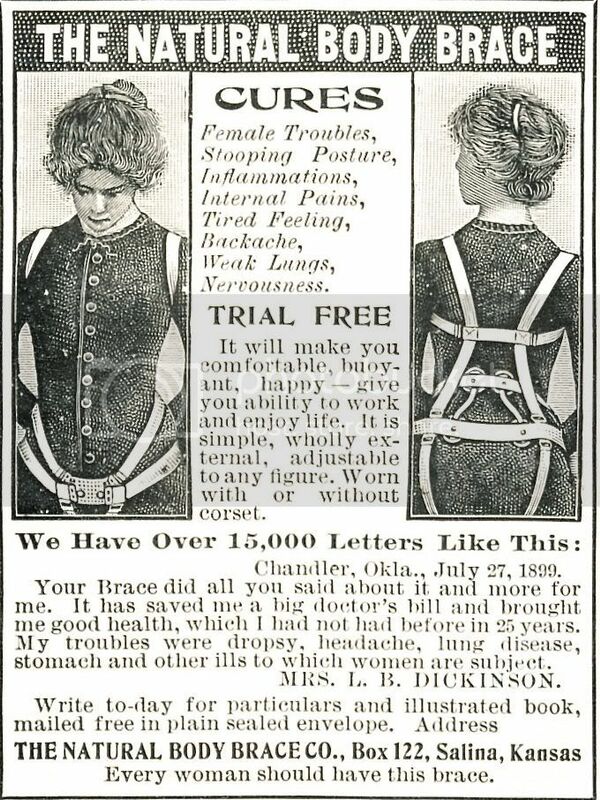 "Cures Female Troubles"! Perhaps that's all Dawn Davenport needed! We forget how good life (and fashion) is now! 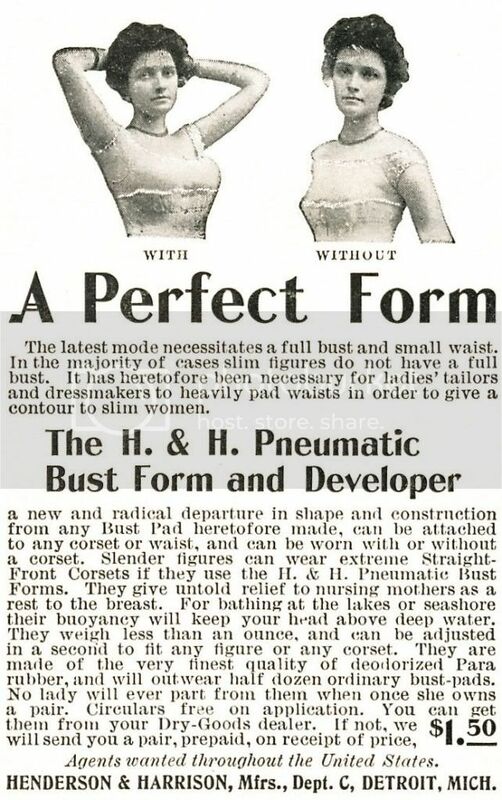 I had to laugh at the "pneumatic bust form and developer". Yep, I am sure that developed something!